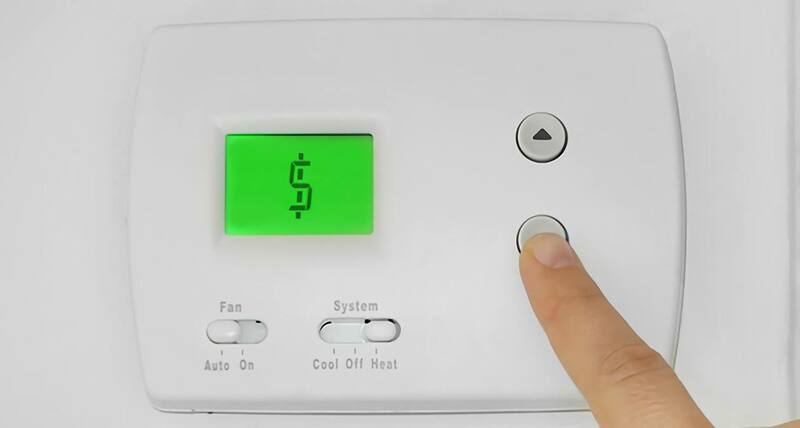 In many parts of America, as the summer heats up, electrical bills start to increase dramatically due to the cost of air conditioning. Consumers and businesses these days are looking for ways to reduce energy consumption and save money. While installing and upgrading air conditioning equipment to enhance energy efficiency is one option, using multiple temperature control systems for different areas within a structure—a process called “zoning”—is another method to cut down the energy bill. Zoning is a process aimed at increasing energy efficiency by installing an air conditioning system with operational controls that allow temperature adjustments for different parts in a home, building or facility. Separating interior spaces into zones allows for comfortable temperatures in different areas, depending on how they are designed and used. For example, rooms that are unoccupied or rarely used need less cooling than rooms with frequent activity. Zoning also incorporates differences in nighttime and daytime use of said areas. Rooms of varying sizes and with varying sun exposure will have differing temperatures. Applying zoning involves installing separate thermostats in each zone that are connected to the main HVAC system. These thermostats constantly read the room’s temperature. There are dampers in the ductwork of the forced air systems that open and close to adjust airflow and thus temperature. Not only is this practical for rooms with inconsistent temperatures, but also for rooms that are rarely used and require little or no temperature control. When there are significant differences between the zones, using a dual air conditioning system may be appropriate. Determining whether it is more efficient to use a single or a dual air conditioning system depends on the loads as well as the distance between the air conditioning unit and the zone areas. For larger homes and buildings, it is more likely that a dual system will be more efficient. While it is more costly to install two different systems, if one happens to fail, the other system can take over as a backup. There is also the option to install room air conditioners instead of using a central system. Energy.gov mentions that although room air conditioner units are less efficient than a central system, they may be less expensive to operate if used only when needed. What Are the Advantages of Zoning? Zoning is part of smart home technology. A smart home technology system lets the homeowner communicate with the devices in the home and make adjustments remotely. Advanced smart home technology monitors the activities in a home and adjusts the systems accordingly. These systems can also monitor humidity and use zip codes for determining regional climate. Essentially, these programs “learn” how occupants make use of a home and assist them in controlling the temperature in an efficient manner. U.S. Department of Energy reports that 6% of the average home’s energy use is for cooling interior spaces. Energy-efficient HVAC systems and zoning specifically can achieve a reduction in energy usage of 20% to 50%. The home or building has multiple stories. There are large windows in some of the rooms. There is a finished room in the attic and/or basement and/or above the garage. Bedrooms are on the second story. Ceilings are high in some areas. Some rooms have a concrete floor. Some rooms are always too hot while others are too cold. Some rooms only have occasional use. It is best to work with a qualified technician who holds an HVAC certification that assists with the design of a zone-based climate control system. The technician will take temperature readings of the different rooms at different times of day. They will ask about usage patterns and occupancy times, and then decide on the most efficient system configuration considering the calculation of loads necessary to support the zones. Zoning is a highly efficient way to lower the utility costs of air conditioning during the summer. Furthermore, new HVAC systems can be installed while older systems are being replaced or retrofitted to increase energy savings and personal comfort. Students interested in this particular technique may inquire about vocational training and HVAC curriculum by contacting the helpful staff at RSI.